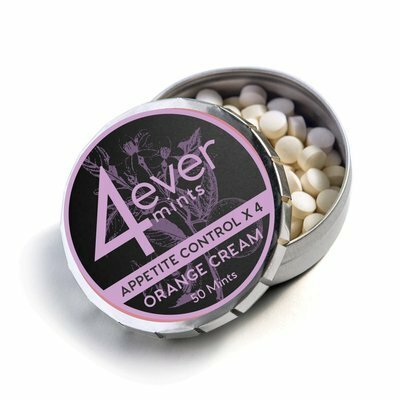 4everMints + Appetite Control is a long-lasting, slow-dissolve time-release breath mint that is fortified with the proven supplement and appetite suppressant Chromax® (chromium picolinate). You simply put the mint in your mouth between your gum and cheek where it takes over two hours to dissolve. During the time it takes to dissolve or "melt" many people report they lose their desire and cravings for foods that make us gain weight—especially refined carbohydrates (cakes, cookies, chips, ice-cream, donuts, pastries, soda, etc. 4everMints for Appetite Control Peppermint 50 ct has been added successfully to your wishlist. 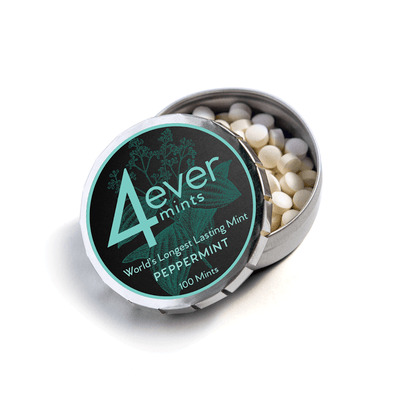 4everMints + Appetite Control is a long-lasting, slow-dissolve time-release breath mint that is fortified with the proven supplement and appetite suppressant Chromax® (chromium picolinate). You simply put the mint in your mouth between your gum and cheek where it takes over two hours to dissolve. During the time it takes to dissolve or "melt" many people report they lose their desire and cravings for foods that make us gain weight—especially refined carbohydrates (cakes, cookies, chips, ice-cream, donuts, pastries, soda, etc.). The end result is that you have the willpower to overcome the temptations and cravings that these foods stimulate and the willpower to stay on a healthy dieting and eating program so you can lose all the unhealthy body fat you want and to keep it off for good.